After a disappointing turnout at the Johannesburg leg of the GBA Roadshow and a failure to secure a venue for the Pretoria leg of the roadshow, the GBA executive is looking to ensuring the success of the AGM on 30 May 2010. Members of the basketball community are invited to register at the AGM on May 30th at Holy Family College in Parktown, Johannesburg. The GBA executive is forging ahead with their plans to host the AGM on the30th of May 2010 as previously scheduled. Amongst other things, the success of registration on the day will inform the possibility of the GBL going ahead as planned in August. Registration will cost R100 per person. Every registered member will have a vote in the election of the incoming Board for the GBA. 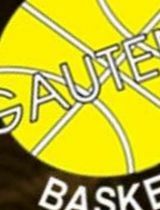 Registration will confirm your participation (players, coaches, referees and table officials) in 2010 GBA programmes including the U18 and U16 leagues, provincial call-ups and the Gauteng Basketball League.